Sage shared a quick look at the enhancements they are planning for their Sage 100 and Sage 100c product lines through version 2019 (roughly FYE 2019). 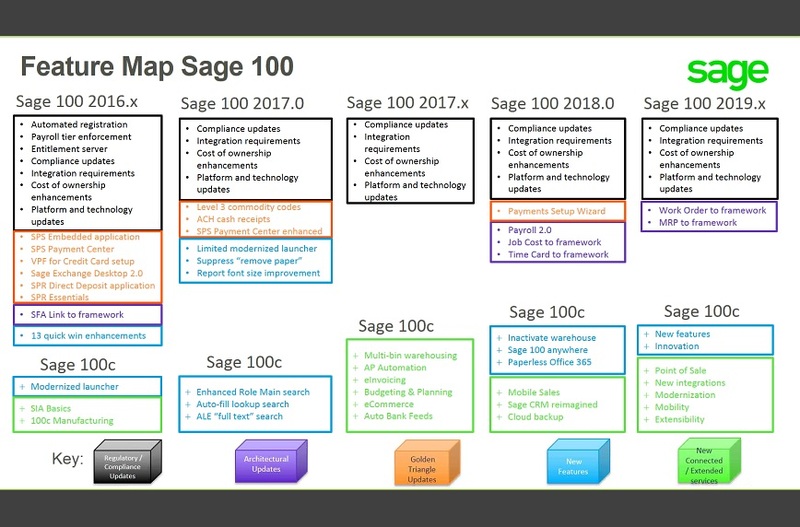 While these features and timelines should be considered tentative until they are actually shipped, the advanced look provides an idea as to the new enhancements planned for the Sage 100 and Sage 100c roadmap of future releases. The above is merely a roadmap. It’s possible that some delivery dates and perhaps features will shift (or be removed altogether) between now and when the release is planned. 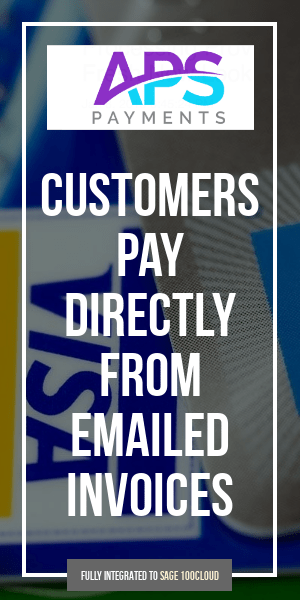 The dividing line between the Sage 100 line and the Sage 100c line is that most feature enhancements seem poised to be added to the Sage 100c product line while Sage 100 gains mostly compliance updates over time.